Please only use this payment form AFTER you have completed your booking form. If you have not filled in a booking form then go here to do so. Thank you. 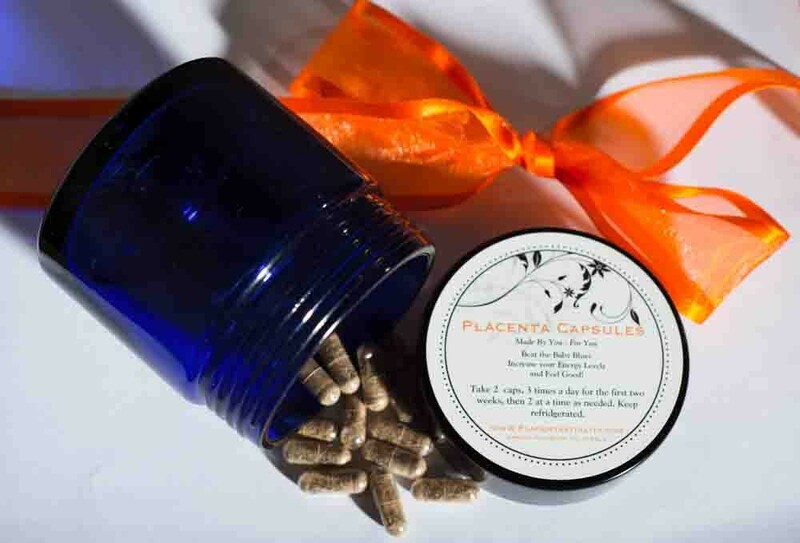 Your placenta made with love into capsules. Your placenta prepared in tincture form so you can utilise it beyond the postnatal period. 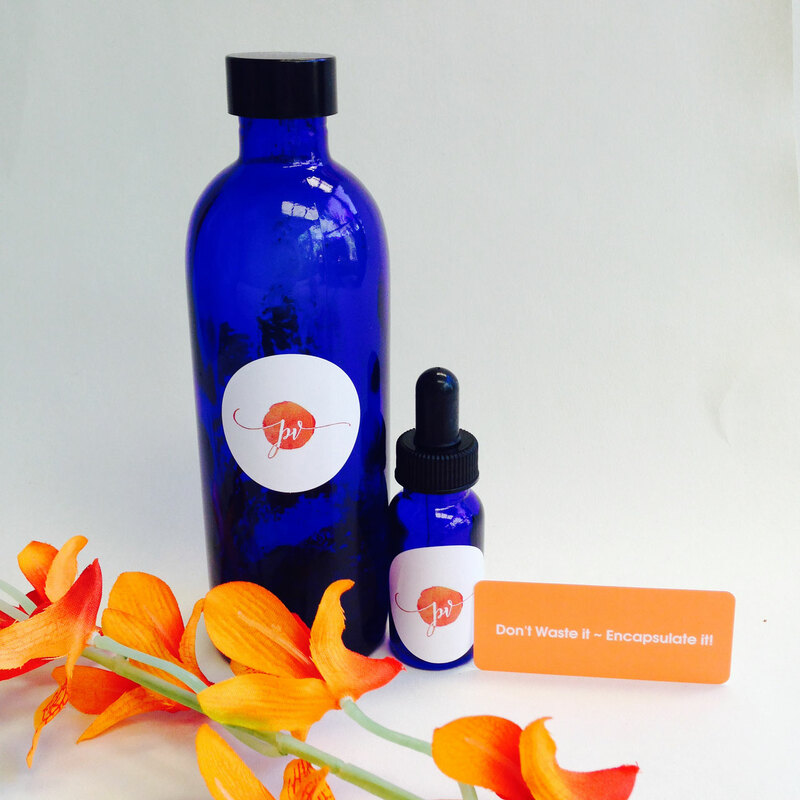 200mls and a dropper bottle for dosage. 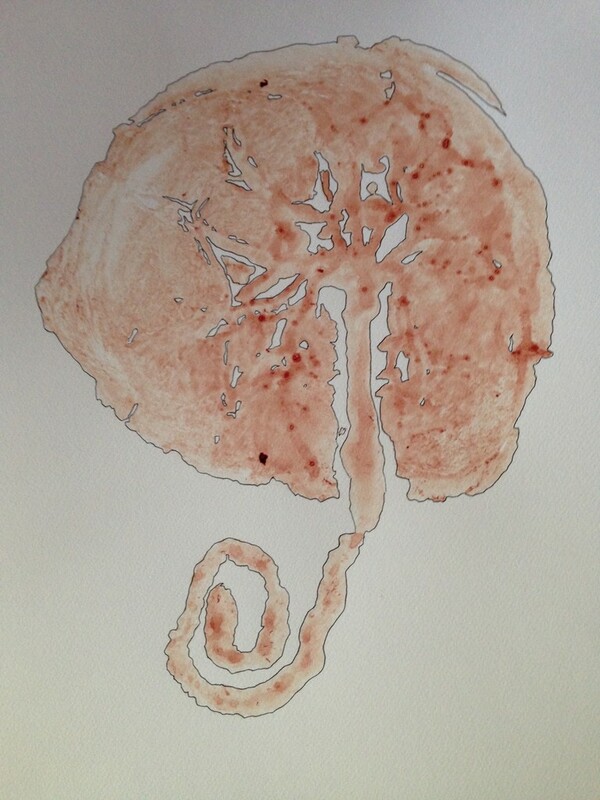 You will receive TWO placenta prints. The prints will be made on 300gsm watercolour paper using only the blood of the placenta (no colouring used), and then outlined once dry. 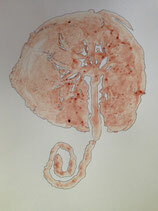 A mixed media art work based on your placenta. A3 size on 300gsm Archers cold-pressed watercolour paper with Schminke watercolour paints. 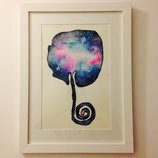 Professionally framed behind glass, with white frame and white mount. 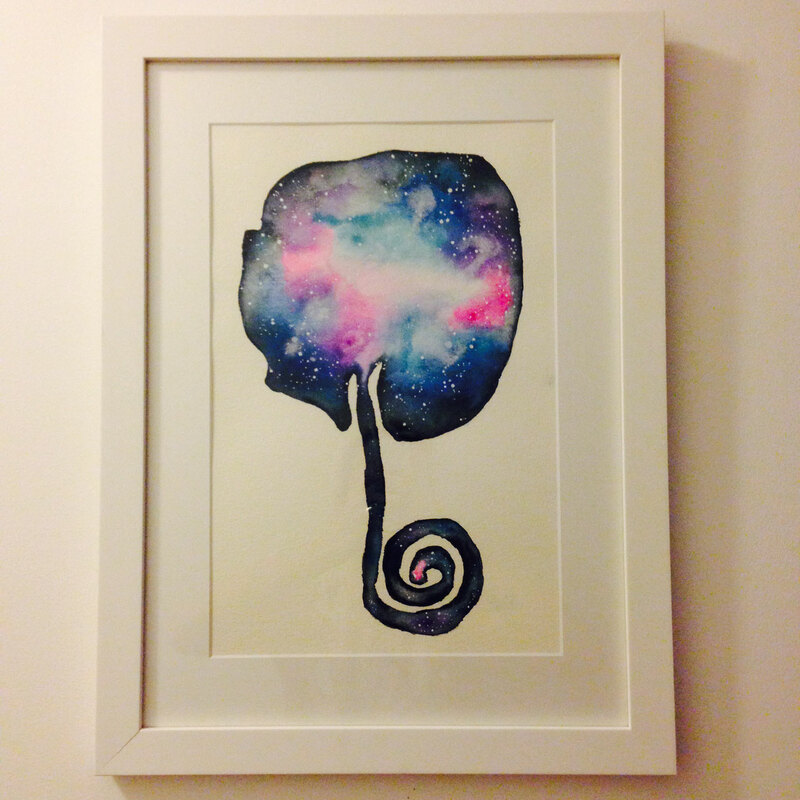 To read more about the artworks and see examples go here. Travel is inclusive to Sunshine Coast University, Buderim and Gympie hospitals, and homes within 40km of us in Eerwah Vale. If you are quoted a travel fee please select your quoted travel fee and add it to your cart. Please remember if you are birthing at hospital and your capsules are completed and returned to you while you are still at hospital your travel fee will of course be refunded.